Double-acting swing sink clamp with 90° swing angle. The piston is guided by a guide pin in such a manner that during part of the stroke a 45° rotation is carried out. 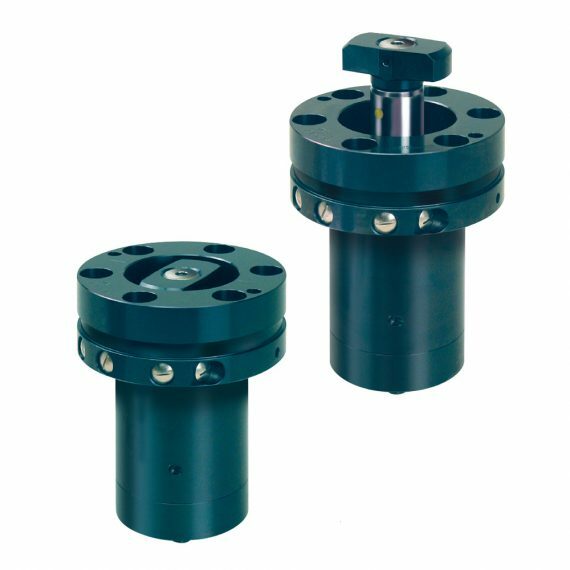 Unclamping, change-over and clamping are monitored by inductive proximity switches. The swing mechanism is protected by a spring-loaded overload protection and equipped with emergency hand operation. The tie rod, piston and swing mechanism are hardened. Swing sink clamps fastened in a double column press. The tie rod is extended (swing position). 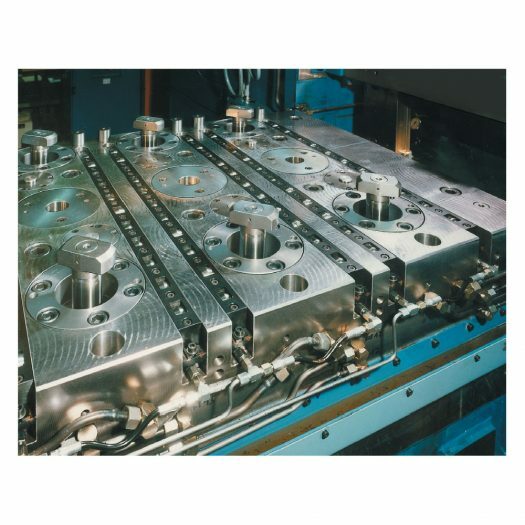 Easy feeding of dies by hydraulic roller bars installed in the T-slots and latereal stops.